If we could judge by the the most prominent example of a star which we can see, our own Sun, we would guess that most stars were single and we would in fact be wrong. the mayority of stars exist in twos and threes. Only 15% (or less) of all stars are single. Why is it that our impression of what is typical is wrong in this occasion? The reason is that the orbit of a planet around a star in a multiple star system is likely to be erratic, due to the ever-changing gravitational tugs of the other stars in the system. The planet may not even be able to orbit its star more than a few times before being snatched away from its parent sun. Even if this does not occur, the planet is likely to move close to and far from its sun and as a consequence its temperature will change drastically from searing heat to frozen cold. The prospects for the development of life on such a planet are not good. The second nearest star to the Earth (the Sun is the nearest) is Proxima Centauri. 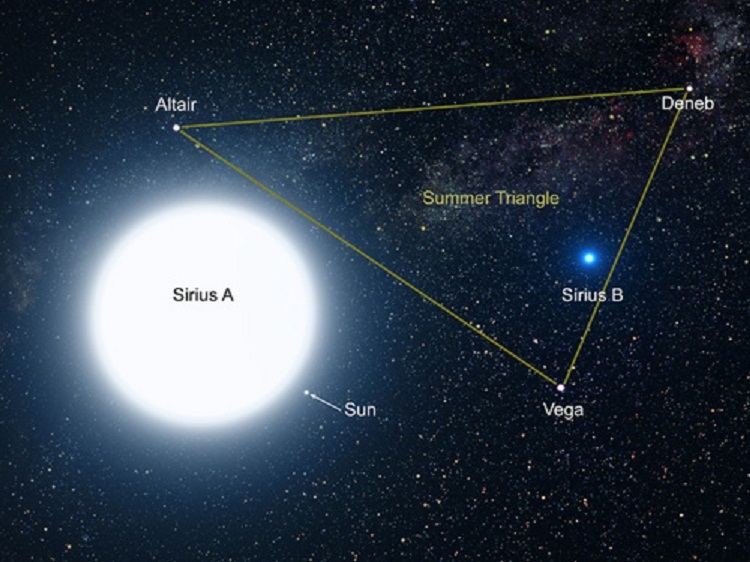 It is the faintest of three stars in the Alpha Centauri triple system, and was discovered by R. innes in 1915. 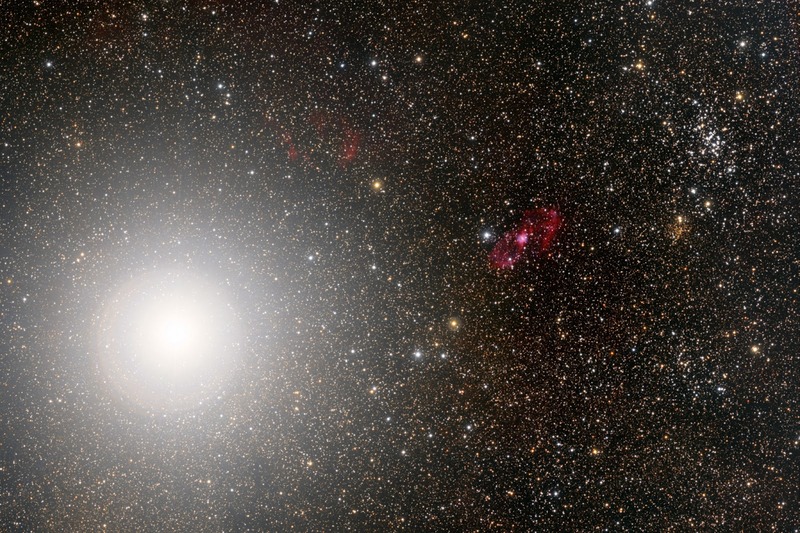 Alpha Centauri is one of the brightest stars (system) in the sky. Its popular name is Rigel Kent. Proxima Centauri is 0.19 light years from Alpha Centauri, orbiting both of them, and 4.2 light year from Earth, and it is also called V645 Centauri. Mizar is the star called Zeta Ursae Mayoris, the central star in the handle of the Big Dipper, 88 light years from Earth. 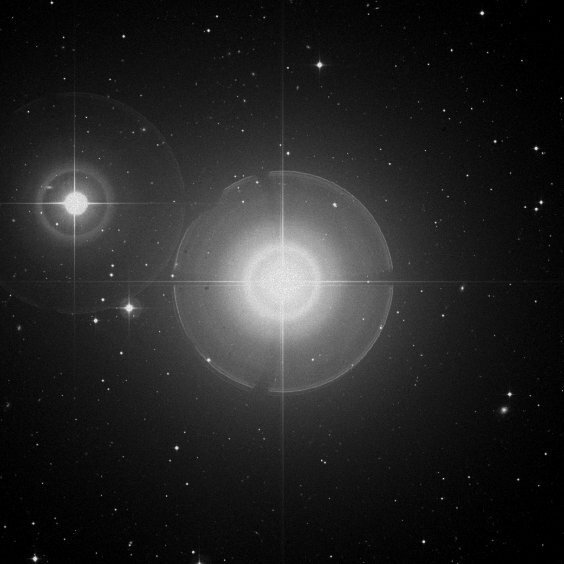 Mizar was the first double star to be discovered by telescopic observation, by G. B. Riccioli in 1650 E. C. It was also the first to be photographed, by the pioneer American astronomer W. C. Bond in 1857 E. C.
Zeta1 Ursae Majoris, both stars orbiting each other with a period of 175.55 days. Zeta2 Ursae Majoris, both stars have nearly equal mass and brightness, and their orbital period is 20.53860 days. The time they (Zeta1 and Zeta2) mutually orbit each other is at least 20,000 years. Now we have Alcor, a star which can easily be seen near Mizar with the naked eye, and is a binary system itself. The period of Alcor around Mizar is some ten million years. This remarkable multiple star system thus consists of possibly six stars in a hierarchy of double star orbiting double star, orbiting double star. 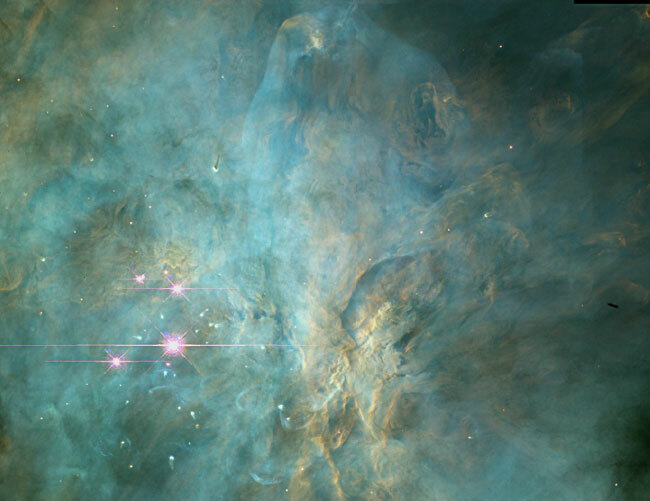 The Trapezium is the star Theta1 Orionis, which was discovered by Nicolas Peiresc in 1611 E. C. , and is the central star of the Orion's Sword, the reason of the bright of the Orion's Nebula (M42). The Trapezium consist in four stars and the name is derived from their pattern. Betelgeuse is also known as Alpha Orionis, the brightest star in the constellation Orion. It is a red supergiant, one of the largest known, and is relatively nearby: 452 light years. 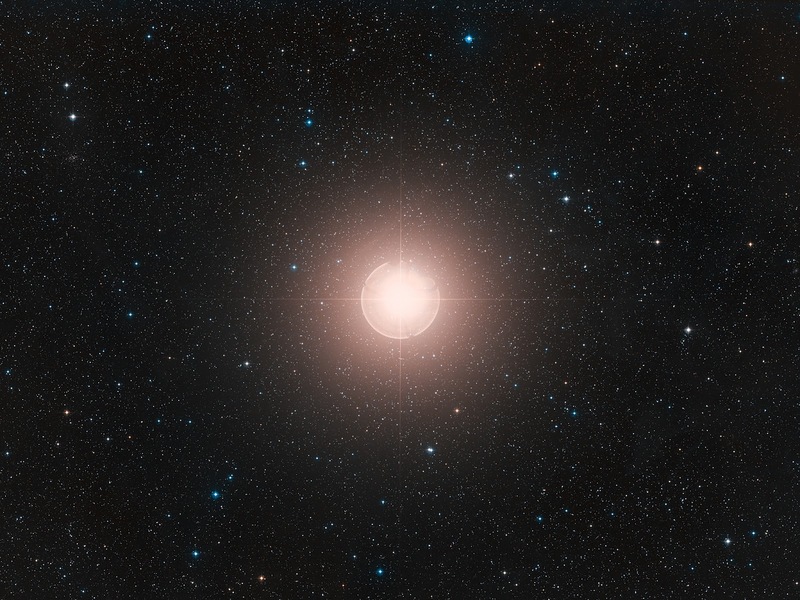 Betelgeuse is also a double star, and its companion is a very small star. Antares is the brightest star in Scorpius. It is a first magnitude, distinctly red star whose naked eye appearance is like the planet Mars: Hence its name, which means "Rival of Mars." At a distance of 3.4 arc seconds is a companion star, five magnitudes fainter. Its period is 7.25 years orbiting each other. The largest telescopes in the world can record the images of stars as faint as magnitude 24. Perhaps there are 20 billion such stars able to be photographed in our Galaxy, maybe half the total number it contains. The stars in the sky, although uncountable, are not countless. We don't know how many discoveries are waiting for us in the future.